CureYourSystem - Page 67 of 68 - Cure your system now! DealPly is a shady browser plugin that once installed starts to exercise the characteristics of adware. The ads it generates will appear constantly interrupting you from browsing. They will emerge suddenly and prevent you from page viewing until you close or click it. The pop-ups may differ in appearance - from selling goods with greats discounts to warnings about system vulnerabilities. Since every click initiates forwarding to the sites that DealPly promotes and by this gains revenue, it is interested in making people clicking the ads. 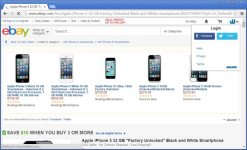 Iminent toolbar is a malicious browser application that should be avoided. It acts as a browser hijacker causing typical for this kind of threat alterations in browser. The most visible are change of the main page and search engine and adding a toolbar on the top edge of the browser window. The toolbar look rather handy especially for those who want to widen the collection of smileys and emoji for social networks. Following the official description the icons can be inserted into Facebook, Webmail, etc. chats. However entertaining it seems, before using Iminent toolbar you should ask yourself, if this worth the disadvantages the toolbar as well brings. With the hijacker operating you actions on the Internet will be repeatedly interrupted with redirections to search.iminent.com page and other doubtful domains. SpeedMaxPC is a program that can be easily mistaken for a registry cleaner and an optimization tool, however it can be without exaggeration classified as a rogue application, which means it should be dealt with correspondingly. As the promotional campaign says SpeedMaxPC is developed to grant its users all tools needed for fixing system errors and boosting the system speed. The interface of SpeedMaxPC is also thought out to look like a GUI of a legitimate program, however that’s where the resemblance comes to an end. Unfortunately, the words of SpeedMaxPC developers are empty and the program is not capable of solving any of the system problems, on the contrary, the application add headache to its user. 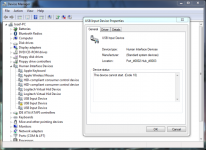 The error ‘The device cannot start (Code 10)’ is an error related to Device Manager issues. This is important to know, because if you receive an error with code 10 in the situation which doesn’t involve devices’ operating, then it is another error which couldn’t be fixed with the instructions of this article. The error may be received after or when you update software, installing drivers, or try to interact with the accessible devices. Sometimes drivers add its identifier to the registry value, and when the error occurs it will have a specified message text that would help you to determine what device causes problems. 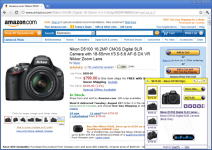 V9.com is the page that is used for redirections to by the browser hijacker of the same name. A browser affected by this malware will repeatedly redirect user to v9.com/us page. As you can see below, the page itself is made as a search page with ads of shopping and dating services and links to entertaining sites and in-browser games. The idea of putting the additional links to the search page sound convenient, however it’s a trick V9 uses to make people visit promoting sites working on revenue-per-click scheme.